Last week in my post Good Enough I argued that our cultural success ethos is based upon a lie, a delusional anthropology, a false conception of who we are. Specifically, I argued that our success ethos presumes that we are gods rather than finite creatures. The success ethos--believing we are gods--presumes that we have inexhaustible resources of time, energy and talent that can be leveraged into greater and greater success, improvement, betterment, and excellence. But we aren't gods and we don't have inexhaustible resources. We are finite. We have limits. Only so much energy. Only so many hours in the day. But still the call for more, more, more. Better, better, better. And as I argued last week, the only way for a finite creature to give more, more, more or get better, better, better is to make greater and greater sacrifices. To spread the butter a little more thinly. Maybe it is family that is sacrificed. Maybe it's your health. Or sleep. But in the end something is going to suffer or break if we, as finite creatures, keep pretending that we are gods. 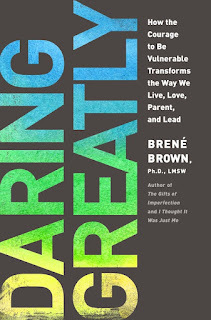 After writing that post a few months ago I started reading Brené Brown's new book Daring Greatly. You may know Brown from her TED talks. Her talks about vulnerability and shame have become two of the most popular TED talks of all time. Highly recommended if you've not seen them. In Daring Greatly Brown makes an argument very similar to the one I made last week. 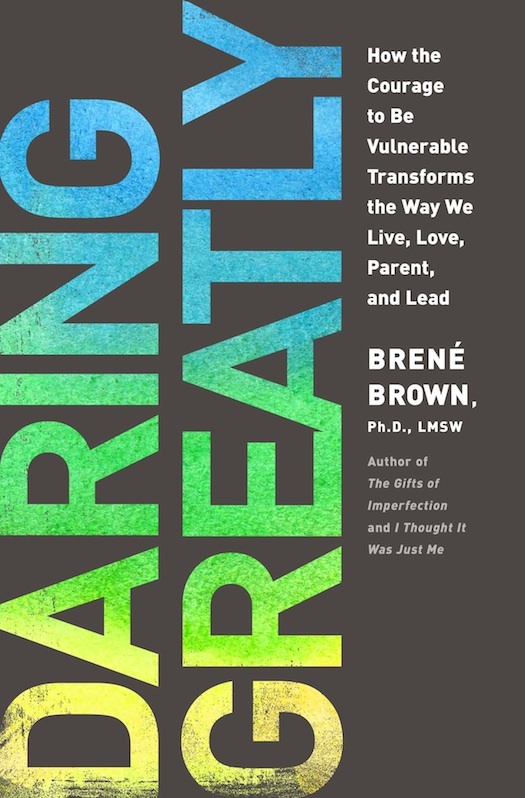 Brown is an expert in shame and at the start of Daring Greatly she tries to get to the root of the problem. Why are so many of us struggling with shame and feelings of worthlessness? Scarcity is the "never enough" problem. The word scarce is from the Old Norman French scars, meaning "restricted in quantity" (c. 1300). Scarcity thrives in a culture where everyone is hyperaware of lack. Everything from safety and love to money and resources feels restricted and lacking. We spend inordinate amounts of time calculating how much we have, want, and don't have, and how much everyone else has, needs, and wants. What makes the constant assessing and comparing so self-defeating is that we are often comparing our lives, our marriages, our families, and our communities to unattainable, media-driven visions of perfection, or we're holding up our reality against our own fictional account of how great someone else has it. Driven by these lies--"visions of perfection," "fictional accounts"--we create what Brown calls a "shame-prone culture" where many within the culture struggle with feelings of worthiness, feelings rooted in feeling a failure, feeling not good enough. So how to address the problem? Brown argues that the solution isn't to replace scarcity with abundance. Again, as I argued last week, that just plays back into the delusions of the culture, that we are living in Eden, as god-like beings with a cornucopia of resources. Brown argues that the solution to scarcity isn't abundance but enough. "Knowing," as Brown writes, "that I am enough." But to be "enough" is to to become vulnerable, to expose our weakness, insecurities, and failures to ourselves and others. To be vulnerable is to stop living the lie of god-like perfection and to stop maintaining that illusion before the eyes of others. Since the children have flesh and blood, he too shared in their humanity so that by his death he might break the power of him who holds the power of death—that is, the devil—and free those who all their lives were held in slavery by their fear of death. Regardless, both Brown and I agree that the solution to all this is learning to be a vulnerable human being. Learning to overcome shame by embracing our failures and limitations. Learning to say that being a human being is good enough. So true. We are a society of consumers and we feel there is something wrong when we are not buying. Many families are time and money starved because they are always looking for more "opportunities" for their kids. More stuff for their kids so they don't feel different than their friends. More activities so they have "every opportunity." Yet they are creating less in the important areas of family and faith. You hit it on the head in this post and the one you did last week. I recently came across your blog and have been enjoying reading through it. You make some very interesting points and observations regarding our culture and way of thinking. "Be it said in passing, that success is a very hideous thing. Its false resemblance to merit deceives men." But I do wonder whether "enough" is sufficient as a solution. After all, whether it's success or merit or consumer goods, isn't the problem the insatiable nature of "enough"? We're always chasing one more raise, one more promotion, one more accolade, one more object that will finally be "enough", only to find that it's the next one that we're after. I think you manage to answer this with your language choice -- it's always about *being* enough, not *having* enough. So maybe it's better to say that the solution to the scarcity problem is in the being, not the having. It's pervasive. We've even turned our spiritual exercises toward the goal of attaining more. New Age movements that have embraced the power of the "laws of attraction" - if you have the right attitude, you can get anything you want. Word of Faith-type Christians believe in a God who will "bless" us with health and wealth if we are sincere in our belief. We have created a god who no longer transcends us; a god created in our own image. Daring Greatly? Shouldn't that be, er, Daring Enough? 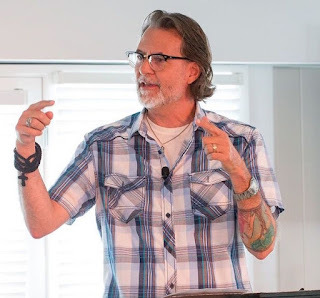 Are some of our shame responses perhaps connected to the idea of god as perfect (whether he's loving or smiting)? I'm not arguing for a sufficer god, but more for McLaren's idea that god is good rather than perfect. Relationally, it seems to me, if we are facing perfection and know we are anything but, the shame is baked in.... This has always been a quandary for me. Your post last week seemed to elicit a lot of anxiety from commenters that you were advocating a sort of spiritual shrug, as if acknowledging our limitations was the same as giving up on loving more and better, quenching the yearning to live more deeply, stretching toward the ineffable. But I feel like part of approaching the sublime involves standing naked before god, honestly embodying my limitations and even my shame. How is it possible to approach loving our enemies in the world if we despise the ones that are part and parcel of ourselves? I think it takes a different kind of courage to stand humbly and offer the whole mess, all that beauty and awfulness that can't be untangled, and make it available to god. I agree. In essence, imperfection is perfection. Thank you for the continued exploration of "Good Enough". Back in the late 80s, I worked for a very prominant aerospace company, averaging 50-55 hours per week (almost never came in on Saturdays and Sundays). Over 80% of my peers averaged 75-80 hours per week (working nearly every Saturday and Sunday). I was eventually laid off because of this - the perception being I was not a team player and therefore insubordinate. Therefore this is a case where perfection was externally imposed, and the consequences of not being "good enough" (I almost mispellled as "god enough") cost a job and nearly a career - pragmatically speaking. I look forward to your take on how we might negotiate with externally imposed perfectionism as it affects things like our job, children expected to get straight-As, etc. Thanks again! I feel like this is all important, but misses the mark in a crucial way. I think "sufficing" is being substituted for, or conflated with, things like being honest about our limitations and problems, forgiveness (of ourselves an others), grace, mercy, humility (understood as the virtuous cultivation of an awareness of our actual limitations and problems, not a compelled degradation of ourselves), etc. It is interesting to me if an attitude of sufficing is correlated with these other things psychologically, but they aren't quite the same thing. Where this becomes vicious is when we enjoin people, like Brown says, to "Know that I am enough." Sometimes, we don't have enough and we aren't enough. What does this say to someone who wasn't resourceful enough to put food on the table for her kids? What comfort is to to tell her, with her cupboards bare, that "Scarcity thrives in a culture where everyone is hyperaware of lack. Everything from safety and love to money and resources feels restricted and lacking." I understand that this is intended as an indictment of our own culture, and it is true enough that abundance alone sometimes fails to eliminate our sense of scarcity. But I think the elision into psychologism here is part of a deeper problem with the perspective. Sometimes, things feel lacking because, well, they are lacking. We aren't enough. But we are loved. We aren't enough, but we can love. Let's be honest, vulnerable, admit our frequent failings and our absolute limitations. Let's not pretend to be better than we are, or make ourselves into little gods. Heck, let's not make our awesome farms and factories and hospitals and successful states into little gods. I love all of that, in this article. But, to invert at least a couple elements of this post: we can only do those things, truly, if we really know that we are not enough. Dr. Beck, I have chewed on this all day. After reading your post this morning, I immediately watched Brene Brown's Ted talk on YouTube. Admitedly, this is hard stuff for me to digest, and even harder to embrace. It seems quite fitting during this Lenten season your blog is bringing the concept of vulnerability to the fore. The very word "vulnerability" angers me in a deep place - which let's me know this is something I need to consider, embrace, wrestle with etc... "Learning to be a vulnerable human being" seems a lot like embracing the Cross of Christ. To be authentic is to be vulnerable. So as I've thought over the last few weeks about giving up my "idol" for Lent, your posts have led me to understand that the power behind my idols (numbing agents) is the avoidance of vulnerability. So the fight is not to white-knuckle my self-medicating habits of entertainment, eating, tobacco, or alcohol - but rather to embrace vulnerability and risk authenticity in more areas of my life. But how? Do you have any practical advice here? Every shred of my being will rally to fight me on this. Thanks for your timely post. I disagree--can we talk about it? It didn't work, but I learned a lot. Can I get your take on this? Can you teach me how to do this? I played a part in that. I accept responsibility for that. Richard, you might try to work this into a homily on the Feeding of the 5000. This story tugs at me because of the emphasis on the emotion of scarcity ("How could we possibly provide enough?") with an ending of plenty (basketfulls of leftovers). It is, I think, a story about enough--and the shift in attitude occurs precisely when a benediction is said over the food that is generously, sacrificially provided. In fact, that's where I (with my stubborn inclination to include the transcendent in the equation) would change your final sentence--being a human being, in partnership with God, is good enough. Somehow, that awareness of the possibilities of a special infusion of grace is psychologically tied in with my sense that my "enough" is really "enough"--that God, not I, is responsible for making the world run; God, not I will make my meager contributions something other than an inadequate mockery in light of the world's need. I agree. The experience of grace as "being enough" in the eyes of God is definitely something I'm on board with. I think you are spot on. There is something "off" about all this. As poverty and Inequality continue to increase at record rates, we might want to ask Brown, who exactly has enough? More and more people don't have enough. And they don't even have access to basic necessities--food, clothing, education, housing. To explain this away as "cultural" seems to miss a great deal. Great thoughts Richard. Walter Brueggeman's book Journey to the Common Good (especially Chapter 1) provides an extended meditation on the manna narrative in Exodus 16. You are connecting to so many of the ideas that he discusses. He juxtaposes the scarcity narrative of Egypt with the narrative of abundance (I'd like to call it the narrative of enough); God calls the people out of Pharaoh's system of scarcity that leads to exploitation and into a relationship of reliance and "enough." One of my favorite gems from that chapter: "Adherence to patterns of scarcity produces a world in which the generosity of God is nullified." At the same time we're also a society that's basically accepted work without end. The flip side of bottomless consumption is Stakhanovism, and we've embraced it in ways the Soviets could never have dreamed of. Another story is the Mary/ Martha story. I know sometimes people think this is about mysticism versus service (transcendence versus immanence? ), but I think it is about busy performance-anxiety versus prioritizing relationship. "You are worried about many things but only one thing is necessary. . . . " Enough! William Cavanaugh makes a similar point about the (false or un-Christian) assumption of scarcity as just the way things are in Being Consumed: Economics and Christian Desire. I have found that churches or faith communities have also fallen prey to this trap. 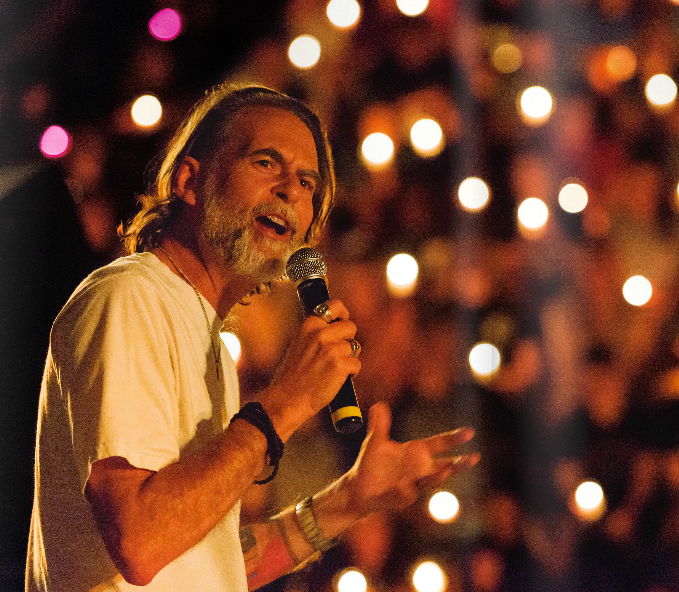 They hold up the Pentecost portion of Acts as something to be reached and maintained. They forget that this was a chapter in a long history. Our ups and downs must be claimed, acknowledged and gleamed. This insight from history gives us a more understandable and workable 'norm'.